You know we sold our house last year and decided to travel fulltime in an RV with our 4 kids because we thought that would make our life… easier? Or… I don’t really know what we were thinking, but I do know I was fully intending on writing MORE here, not less. And hopefully I will soon. 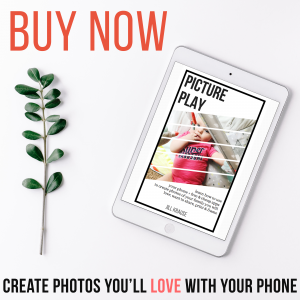 Read on if you are looking for THE BEST last minute Mother’s Day gift for yourself or someone else! That’s a lesson this trip is showing us. Life is just hectic with 4 kids, no matter how or where you live, and we traded one kind of chaos for another when we chose to do this, but at least we have better views this way! And we get to spend a lot more time together. And if I’m being very honest, it gets to be too much every now and then. It’s been really important that we put measures in place to give ourselves little breaks. Not just the adults! 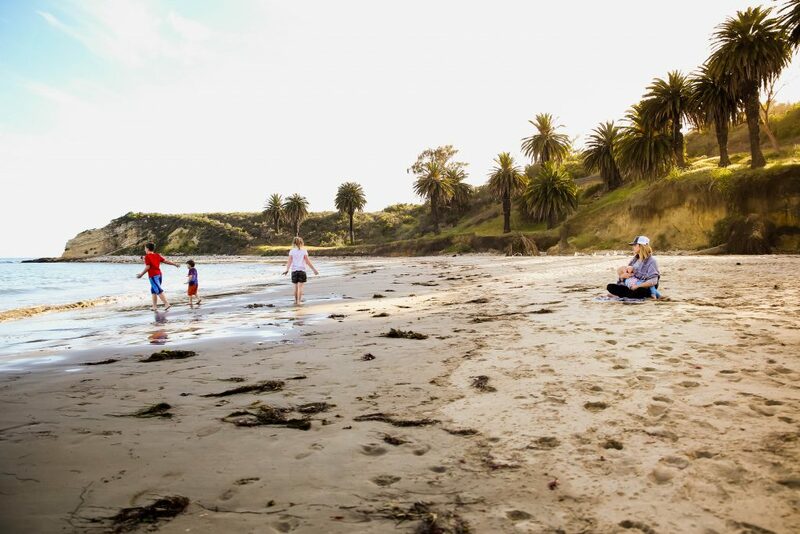 The kids need quiet escapes, too. But Scott and I are, obviously, the ones dealing with the brunt of the stress and are not as immune to the noise this Happy Loud family constantly makes. We can feel our stress levels rise faster than we’d like if we aren’t intentional about carving out self care. 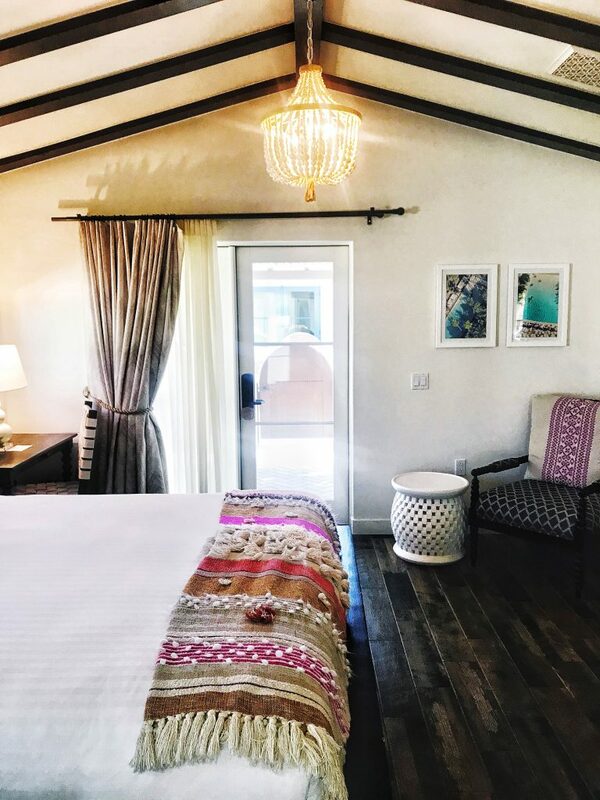 So I’m thrilled to partner with HotelTonight to tell you about this incredible GIFT they gave me while we were staying in Palm Springs because a last minute night at a local, lovely hotel is not just something a mom of 4 living in an RV fulltime could use. It’s something any parent or caregiver could benefit from, truly, anytime. Uninterrupted sleep is more valuable than just about anything for so many of us. The thing that HotelTonight does really well is working with last minute requests. They specialize in finding you, well, a hotel THAT NIGHT, though you can also look at dates further out, too. They work with hotels in your area (whether that area is home or somewhere else, they use geo-targeting to see where you are) to fill last minute vacancies. I feel like so much of our life is dictated at the last minute these days. It’s almost better that way. If we plan too far in advance, we’re, like, guaranteeing someone’s going to end up with strep. Also, I love that the app is 1. easy to use and let’s you book right there through it, and 2. shows you all these fantastic hotels you may not know about. 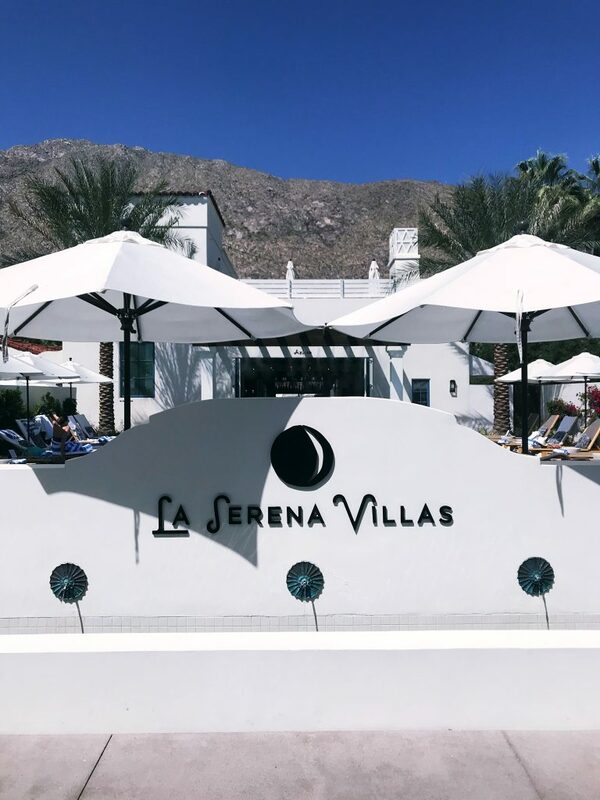 When I was in Palm Springs, there were a lot of cute and gorgeous and down right luxurious boutique hotels for me to choose from, but it was La Serena Villas that caught my eye because, um… let me just show you. 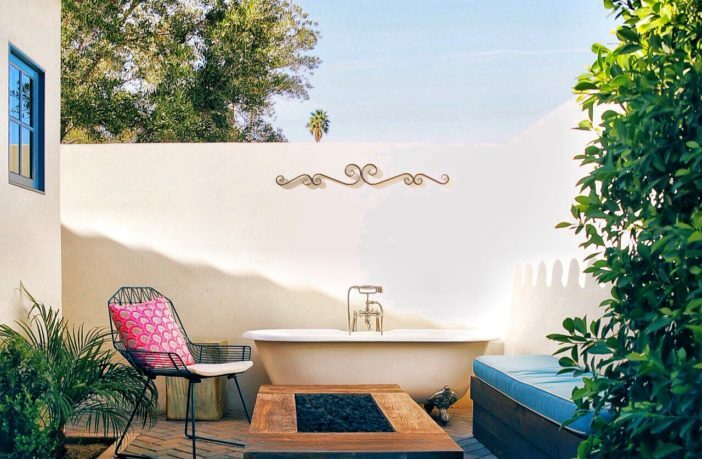 Yeah, that IS a bathtub outside in it’s own private and gated patio with very tall privacy walls, and a fire pit for good measure. I could not get there fast enough. Our RV is relatively luxurious as far as RVs go. I mean, we have a bedroom door that locks and a full size refrigerator! 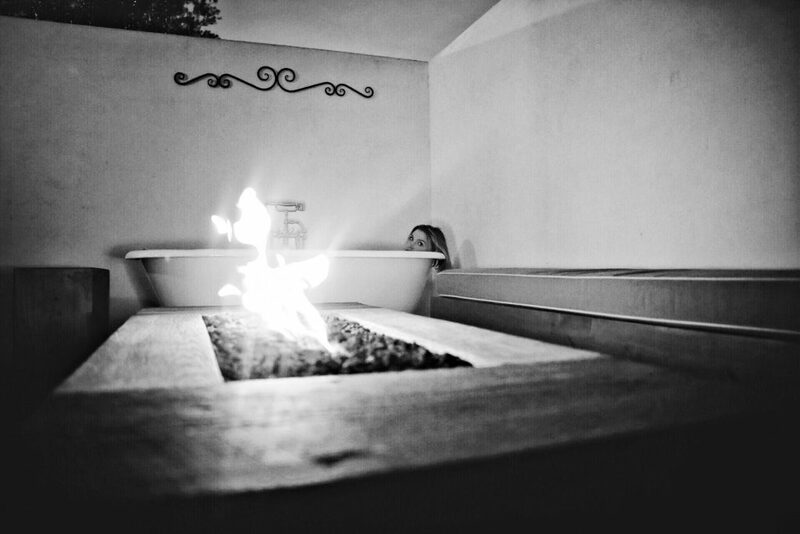 But we don’t have a bathtub, and I really miss baths. 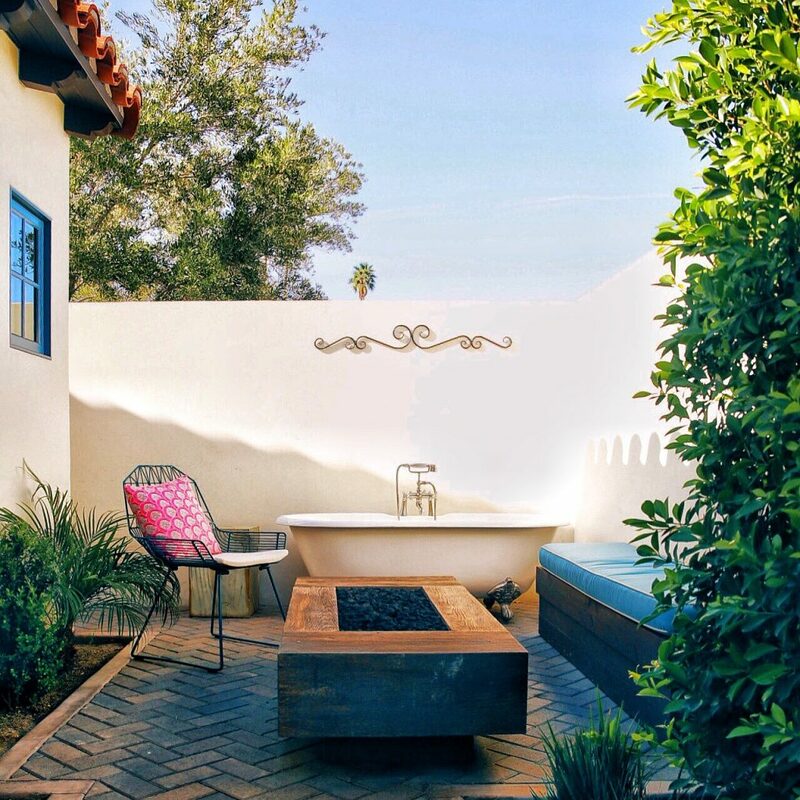 This bath happened after I fully enjoyed my private patio, got some work done in the silent room with super fast internet. That’s another reason I’ll be utilizing Hotel Tonight a lot as we travel- to work in peace! And then I enjoyed some complimentary tequila. 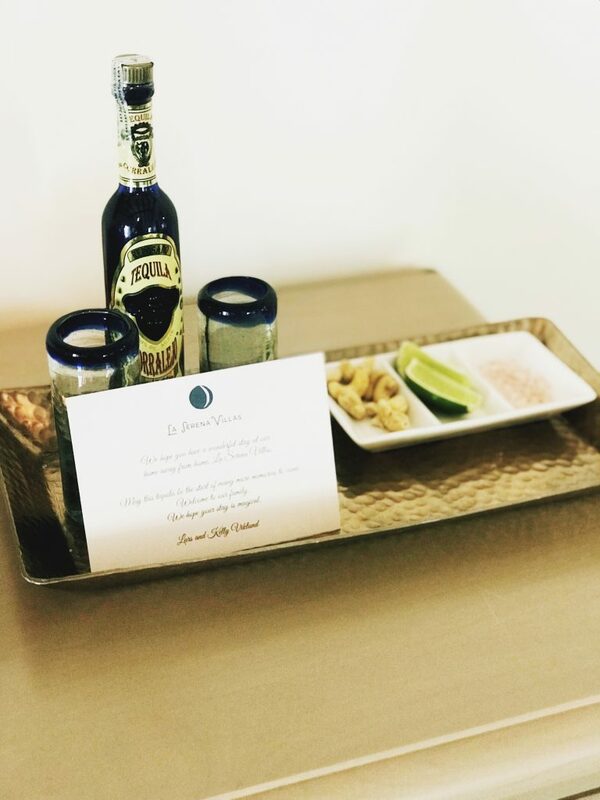 Complimentary. Tequila. Okay, life. 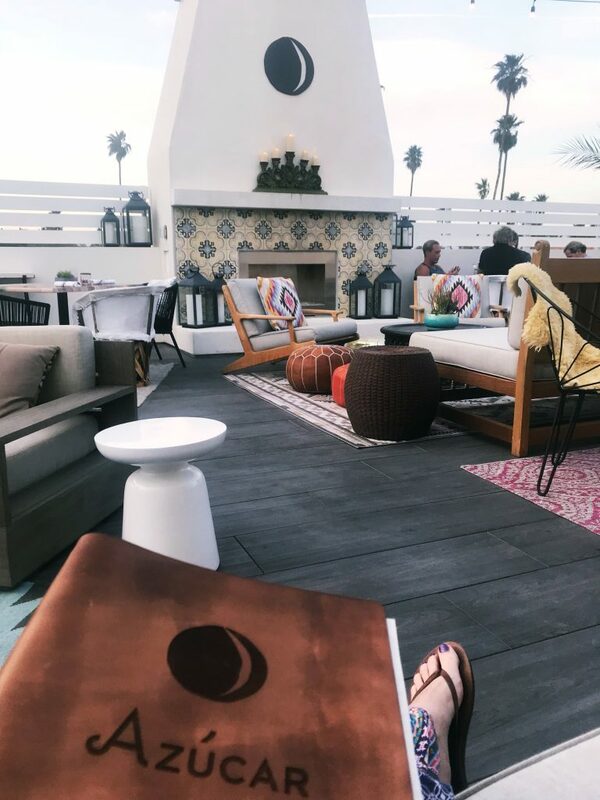 I also took myself to dinner at their rooftop restaurant. Behold how it is serene and not a single child of mine is there! Actually, this is a 21 and up hotel so there weren’t any kids there. I mean, you guys, I’m not bothered by other people’s children nearly as much as mine in public spaces, so I wouldn’t have been upset if there were kids, but I’ll be real and say I was okay with this adult only setup. 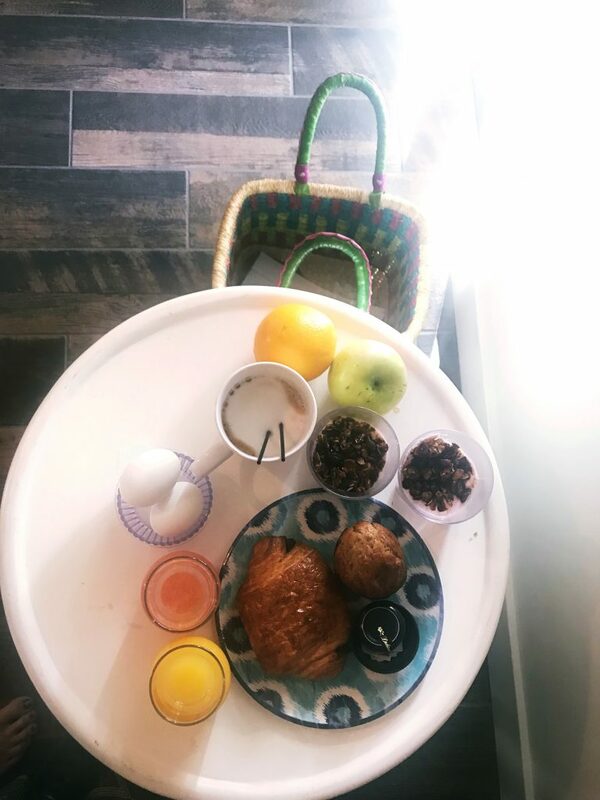 And as if all of that wasn’t magical enough, they brought me breakfast in a basket the next morning. In a basket! I didn’t just feel well rested the next day (though be sure I did feel WELL rested), but I felt energized and like I hit the reset button. I honestly didn’t know how bad I needed that until I had it. 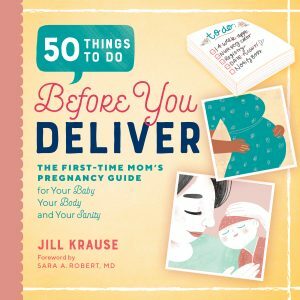 Mother’s Day is this weekend, and maybe you don’t know what to get the moms in your life, or maybe your partner or kids are begging you to give them a last minute wish list. I know mine is. Download the HotelTonight app. Check out what’s in your area. Book a room for your mom or for YOURSELF. 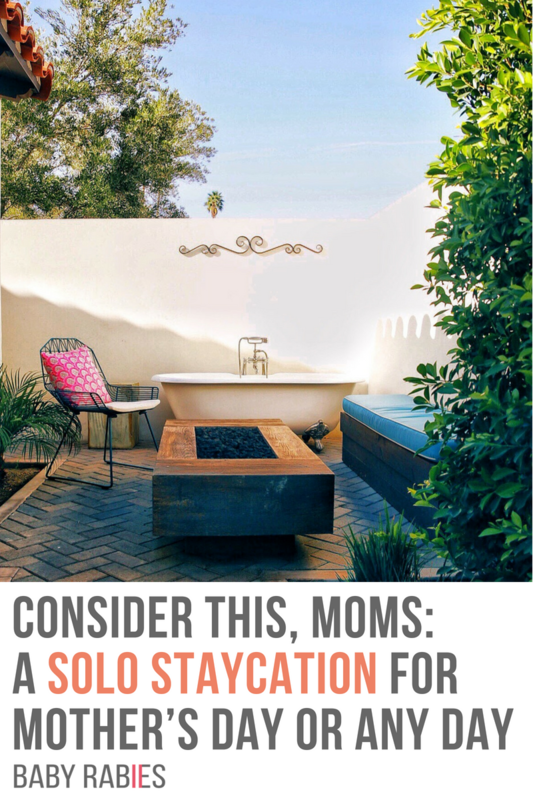 A solo staycation is exactly what moms need for Mother’s Day or any other day. Thank you to HotelTonight for sponsoring this post. If you’d like to save $25 off your next Hotel Tonight booking, use my referral code JIKRAUSE. as compa?ed to books, as I found this paragraph at this we?site. of your post’s to be prec?sely what I’m looking for. that, so now me also comm?nting at this pl?ce. my interest. I will book mark your site ?nd keep checking for new details a?out once ? week.